When we want to create room in our lives for new ideas and energy to flow we often think about cleaning, organizing and decluttering our physical space. Unfortunately, we often neglect our virtual space leaving it clogged with things that are no longer serving our highest good. You might feel the weight of this issue every time you open your inbox and experience a decrease in energy because the volume of unopened emails creates overwhelm in your life. While it may seem insignificant, it can actually be harmful to your overall wellbeing as it can leave you feeling energetically depleted. 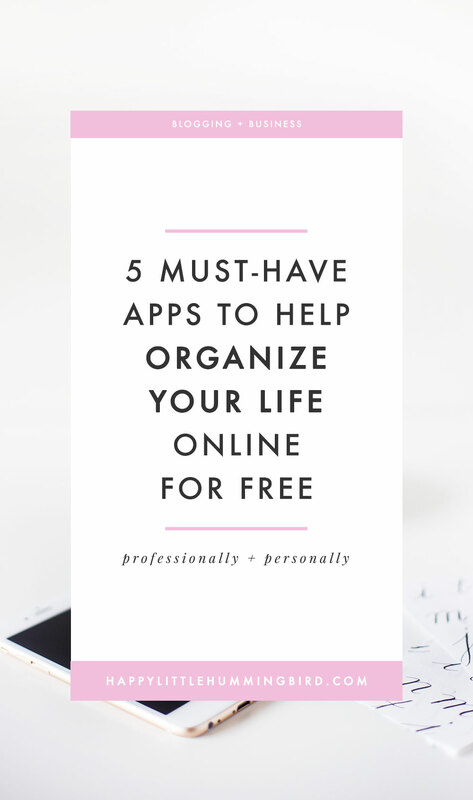 That’s why I want to share with you 5 of my favourite apps that I use regularly to help me organize my online life & biz. misplacing important tidbits of information. Unroll Me has literally changed my online life and definitely saves me the most time each week. This app manages your inbox—dare I say it—like a boss. Oh no, I swore I never would. The great thing about this app is that it allows you to view all of your subscriptions in one place and instantly choose whether or not you want to unsubscribe. Gone are the days you need to unsubscribe email-by-email which as you know can take FOREVA. Once unsubscribed, Unroll Me does the work and you never have to see it in your inbox again. It’s like magic, only better. The best part is that they are not gone for good. Unroll Me ensures you never see them in your inbox but with a quick click of a button, you can have it back if you realize that it’s a subscription you actually wanted to keep. My favourite feature is the Roll Up—a daily digest of my subscriptions rolled up into one neat and tidy little email. 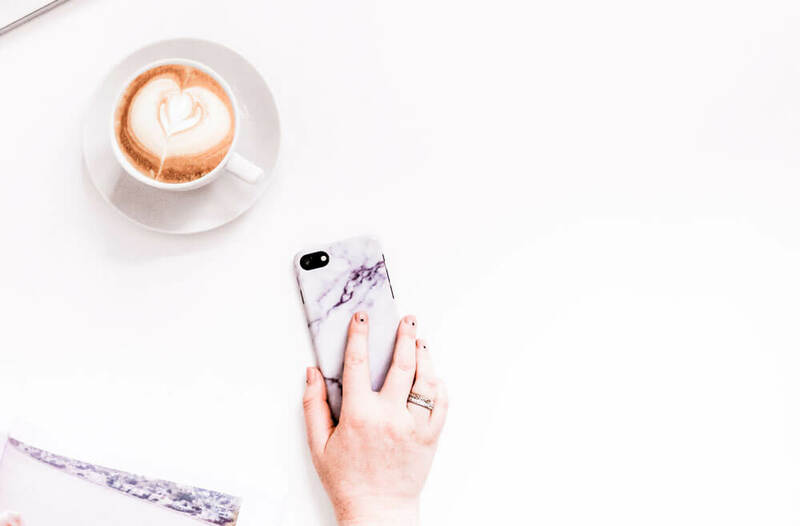 If you want a squeaky clean inbox but are overwhelmed and don’t know where to start, get yourself an account and get ready to be amazed at how quickly you can get your emails down to just the ones you want to read. Imagine that? Go directly to Unroll Me’s website to set this one up. This one isn’t an actual phone app. Once you set it up to correspond with your email address you won’t need to access it very often unless you wish to make changes to your subscriptions. All other apps mentioned below are iPhone/iPad apps that you can load for frequent and easy access. Evernote has been a lifesaver when it comes to capturing my project ideas in one central location and keeping me focused. As Evernote puts it, “we keep you focused on moving those ideas from inspiration to completion”. Who can resist? This app has a ton of functionality and there is probably a lot more it can do that I’m not aware of. However, some of my fav features include its ability to allow you to clip web articles, search files quickly with tags, store handwritten notes, use voice dialogue to transcribe minutes (in minutes) and so much more. Evernote is like notetaking on steroids. When I first began using Evernote, I watched several of Steve Dotto’s tutorials on how to maximize its functionality. To help get you started, check out Dotto’s demo: Introduction to Evernote. Like Evernote, I eventually upgraded to the premium version of this app because I use it a lot. Before Dropbox, I saved electronic files in two or three different places so I needed a one-stop-shop for all of them to live. I also wanted something that could store large files so they could be accessed by others (like video, photos and private client folders). Hello! Dropbox. But that’s not the best part, Dropbox has the ability to sync my iPhone photos using the camera upload feature which uploads my photos directly to my Dropbox account. If you currently send photos from your iPhone to an email address and then to your hard drive to save them—please stop. The automatic camera upload feature is much more efficient. You’re welcome! I’ll be honest, over the past year I’ve had an on again off again relationship with this app—mainly because I loaded it up a little too much and managed to overwhelm myself so I stopped using it for a few months (pro tip! don’t do that). Thankfully, we’re in love again and I can rave about all the great things it has to offer because it’s one helluva a little app. I know I said free, however, this one is a paid subscription but made the list because they do offer a free 30-day trial. If you choose to use it after the free trial, it’s a mere $24/yearly subscription which I think is worth it. I’ll warn you, this is a bare bones, no frills kind of app. Which I guess for me was part of its appeal. I enjoy the fact that it provides a simple interface and is super easy to track daily/weekly or monthly to-dos which can be emailed to you each morning if you prefer to set it up that way. My favourite feature though is its ability to automatically roll over unfinished to-dos to the next day. I’m not lying when I say that I’ve saved the best for last. If you’re a blogger or a business owner then you’re probably already familiar with Trello. I have only been using Trello for a short time but let me tell you, this one is changing my life. Not only am I using it to organize blog posts and other business / coaching projects, but I’ve been using this to manage personal household tasks such as preparing for our sweet little bundle who’s expected to arrive in a few weeks. Before I started using Trello, I followed a tutorial by Elle & Company: Getting Your Blog Organized With Trello to help me understand how to organize my boards. Although she is referring to blog editorials in her post, the information is pretty universal so I recommend checking it out before you start making your own boards. Since implementing Trello into my life, my husband and I can easily update or add to household projects. It’s very easy for us to see where we are at within a project and if it’s been completed. We can assign due dates and send notes within the app so no need to clog your inbox with a huge email thread. I don’t use Trello as a daily task manager (I recommend Teux Deux for that), however, Trello is amazing for the bigger projects you’re planning and trying to manage. Below is a screenshot of a baby prep board my husband and I are working on together. We easily check the boards from our iPhones and the best part is that any changes we make within a project happens in real time. P.S. If you have kids, a spouse, a business partner, a nanny or anyone you’d like to collaborate with, send them an invite by adding them as a member to one of your boards and make collaborating a seamless, organized event. Ah-mazing! Hey guys, I just wanted to let you know that since I posted this last year, I’ve switched to using the FREE project management too, Asana. One of the main reasons I loved Trello was because they had “boards” which made it visually clear and easy for me to see what steps and tasks were in a project. Since Asana has recently introduced boards to their app, I haven’t used Trello since. I am ready to release the clutter that no longer serves my highest good to allow new ideas and positive energy to enter my life. Our lives run smoothly and become effortless when we create the space and focus on thoughts that keep our own vibration high. If you’re feeling frustrated and weighed down in life, this energy affects your overall happiness and quality of life. Raise your vibration by removing lower energies and distractions that will prevent you from creating the kind of life you wish to live. Got a friend who could use a little help getting organized this year? Share this post below. What did you enjoy most about this post? Will you try using these apps to help you organize your life? Are there any others you use that would complement this list? You’re welcome, Pia! I LOVE Unroll Me, too. Hopefully Teux Deux is the last to-do app you’ll ever need 😉 x.
Evernote is my life support at my day job, my blog, anddd in my personal life! I literally have an account for each of those categories haha. It’s amazing. Hi Alexandria, Evernote is fantastic and it’s probably been my fav until I discovered Trello. I highly recommend checking that app out to help you organize everything from launches to birthday parties! x. Very nice list! Only one I have tried is dropbox and evernote, so I’m looking forward to trying the others. Thanks for sharing! You’re so welcome, Renee. I hope they keep you organized and help you save time in your day! x.
it’s like you looked into my daily routine and knew I needed this! So looking forward to trying all of these!! Thanks Krista! I am so happy to have found your blog via Blogging Boost. I feel like You are speaking directly to me with that hello message on your top sidebar. i’m gonna stalk your blog for sure! I just joined Unroll.me after reading your blog. Love it. I’ll check out the others as well. Thanks for the info. I hear ya, Sonya! It took me a while to catch on to Trello for the same reason. However, I love that I can collaborate with others so easily within the app so I’m fully converted! x. Just signed up for Unroll.Me! Can’t wait to see how it works. I’ve had some subscriptions I’ve tried to get rid of FOREVER. Thanks! Yay, Kirsten! Good luck. Unroll me isn’t perfect but it has helped reduced the junk in my inbox considerably, plus the daily roll up option is awesome!! x. Light chaser. Dream maker. Aspiring non-conformist. Bullet journal enthusiast. Mom of 4 (two with fur). Aries Sun. Libra Moon. Cancer Rising. Life path 6/33. Newfoundland and Labrador-born living in the Canadian Rockies. 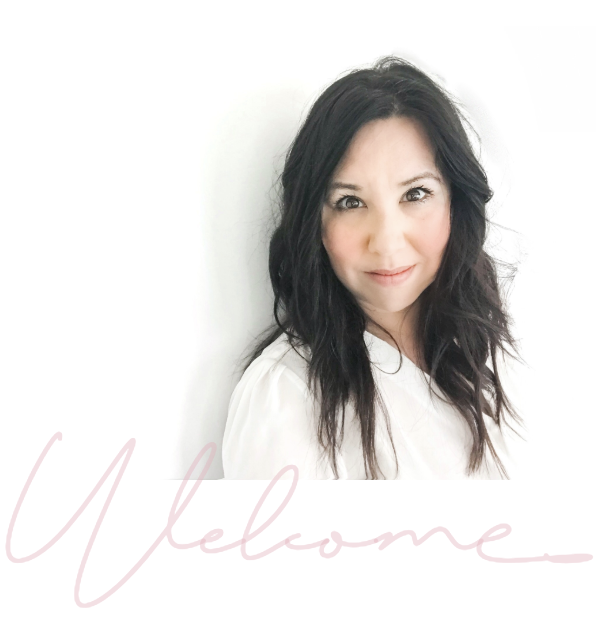 If you’d rather learn how I can help you create a business that nourishes your soul and your bank account, then you can follow me right here. If You Want to Find Your Life Purpose, Stop Doing These 3 Things.